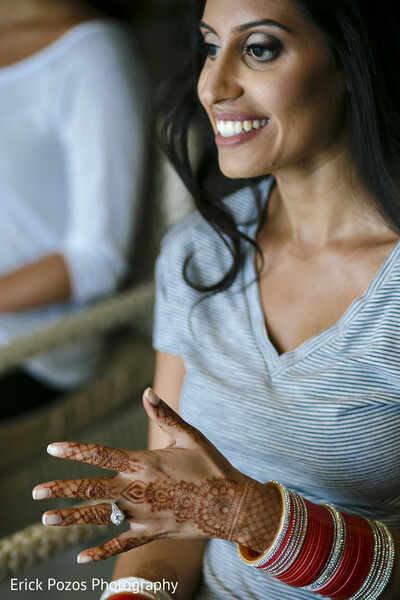 Happy Friday Maharanis! 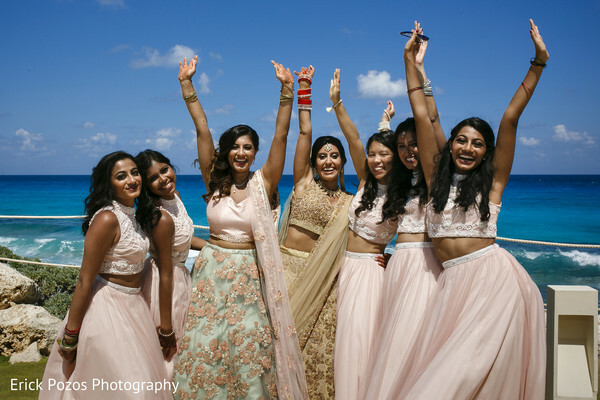 Today, we have the perfect bash to ease you into the weekend, so grab your sunnies and tropical drinks as we head to the golden sands of Mexico for Anisha and Tejas’ Indian destination wedding. 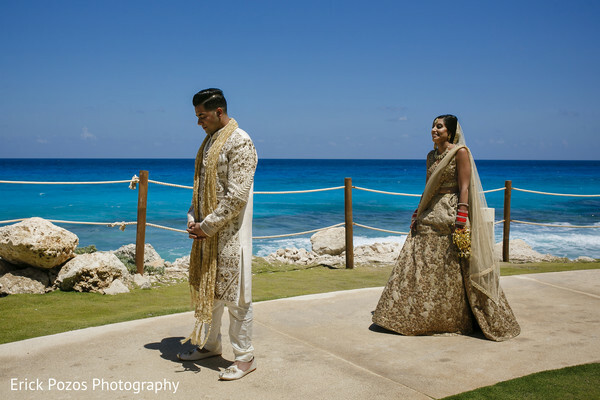 The couple’s festivities incorporated oodles of Indian flair, seashells and waves for a once in a lifetime experience! 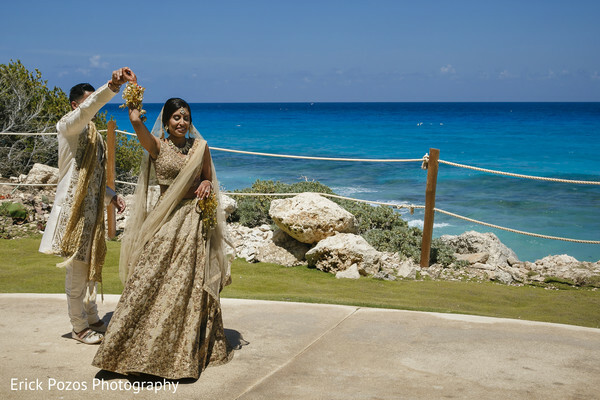 Travel concierge Indian Destination Weddings was there every step of the way ensuring that Anisha and Tejas’ loved ones were having the time of their lives sipping tropical cocktails, noshing on cuisine crafted in house, and basking in the warm sunshine at the Hyatt Ziva Cancun resort. 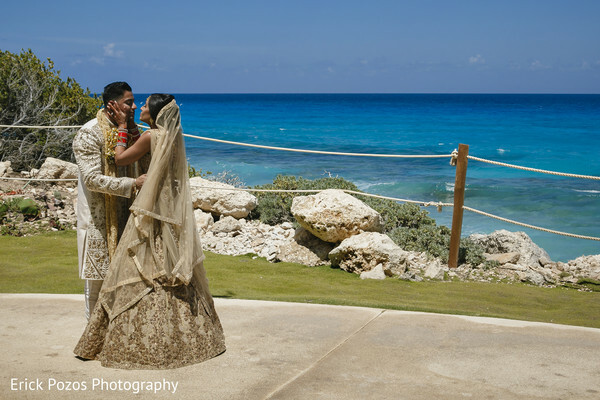 Meanwhile, the dashing couple met on the warm sands for their darling first look. 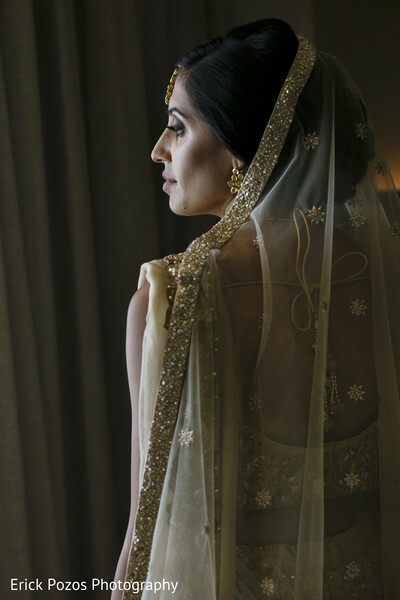 Tejas gasped in delight as he caught sight of his golden goddess. 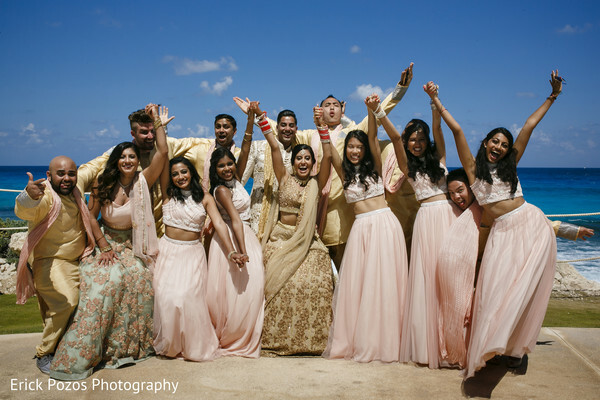 Their first look ended with the lovebirds twirling in the sand surrounded by their elated bridal party, who were raring to get the shenanigans started! 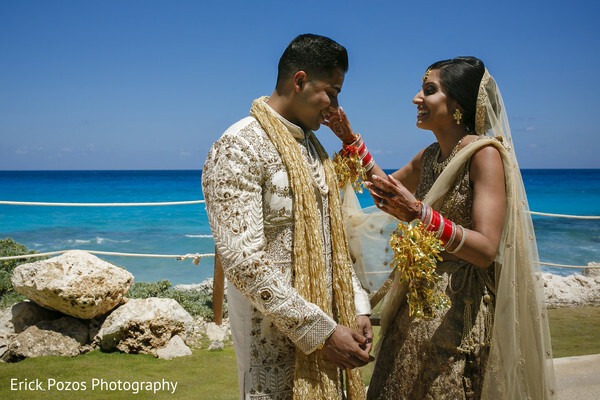 In our next post, we’ll take you into the magical ceremony of Anisha and Tejas, which featured planning & design duties by Preeti Exclusive Creations. 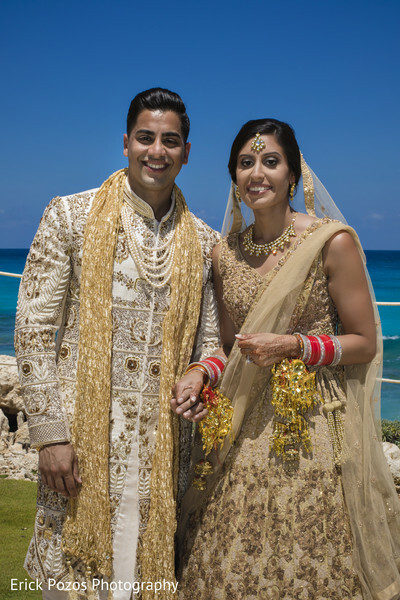 The design house transformed the couple's corner of the beach into a pristine oasis complete with chandeliers and enormous pink blooms. 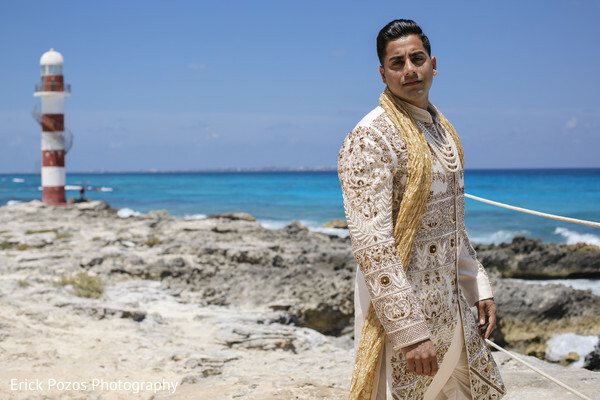 In the meantime, peek into the complete gallery where Erick Pozos Photography has captured the most picturesque beach portraits! Hurry back lovelies! More beachy goodness awaits!